CHAMPAIGN, Ill. (July 25, 2015) – Of the 44 organizations that entered the 11th annual Make My Non-Profit Run Better contest, 10 entrants have made it on to the second round of online voting for a chance to win a portion of $60,000 in office technology prizes from RK Dixon. The second round of online voting, which begins today and will end at 5 p.m. on July 29, will determine which of the 10 non-profit finalists will be awarded office technology makeovers and equipment packages that are designed to make the non-profits run better and enhance their ability to focus on their mission. 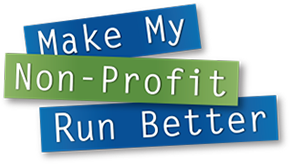 The winner of the Make My Non-Profit Run Better contest is scheduled to be announced Aug. 4.